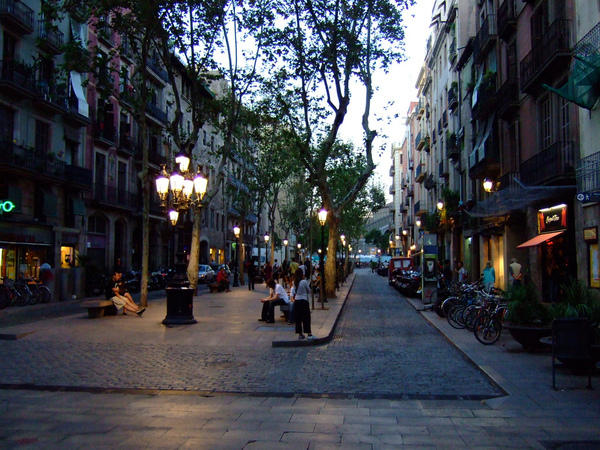 The district of El Born is one of the oldest sectors of Barcelona, dating back to medieval times. The Gothic church, Santa Maria del Mar, was built in the 14th century and jousting contests used to be held in the main square. Today its cobbled labyrinth of streets are the fashionable place to be. By day it’s a shopper’s paradise with its many high-end boutiques, while by night the streets are filled with trendy young things spilling out of the many restaurants, cafés and bars. To reflect the neighbourhood, perfumer Jacques Huclier set out to combine the old and the new for the fragrance El Born. Released in 2014, the notes feature lemon, bergamot, angelica, honey, fig, heliotrope, benzoin, jasmine, vanilla, Peru balsam, sandalwood and musk. El Born starts with the party in full swing. A warm, deep, honeyed booze accord immediately sets the mood for good times. 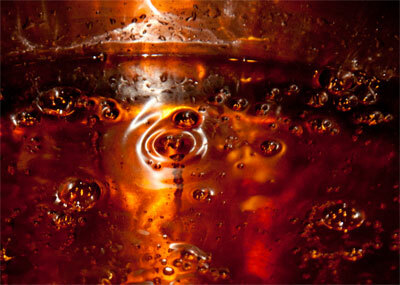 It’s the alcohol of a deep, dark spirit like malt whisky. The citrus accents are just a garnish, like fruit slices floating in a glass. In addition to the liquor there’s the delicious crunch of praline. To begin with, El Born is a drink and a dessert rolled into one. Perhaps a Crêpe Suzette flambéed in liqueur. It’s rich and intoxicating with a sticky, viscous consistency. Once the alcohol has evaporated, it settles into a heart of Peru balsam, vanilla and benzoin. It’s sweet but the curls of wood smoke take the edge off. El Born is great for those of us who prefer our vanilla accords dark and roughed up. After a couple of hours it mellows to a balsamic, burnt sugar crust and stays that way for the rest of its duration. It leaves an appetising scent trail in its wake and has excellent lasting power. This all makes El Born a must-try for those who like fragrances with a caramelised, toasted or almost burnt character such as Parfumerie Generale’s Aomassai. It would be ideal for cosying up with during chilly, damp weather. I can imagine gourmand fans finding it very moreish, particularly those who appreciate a darker take. Although I doubt I’ll ever be much of a gourmand lover, I admire every stage of El Born’s development from the alcohol soaked praline with citrus, to the smoky vanilla heart and down into the base of caramelised balsams. Each part fits the whole perfectly, making it well rounded and very satisfying. Why not read Olfactoria’s reviews of some of the other fragrances in the line (D600, Tardes, Rima XI) and explore Barcelona for yourself. Are you familiar with Carner Barcelona? Which are the stand-out scents in the line for you? This entry was posted in By Tara, Carner Barcelona, Fragrance Reviews, Gourmand and tagged Carner Barcelona, Fragrance, Gourmand, Perfume, Review. Bookmark the permalink. Mouthwatering review as ever! I love Aomassai and have a sample of this somewhere. Not sure why I can’t quite bring it to mind – is there a heliotrope thing going on at all? PS By ‘heloiotrope thing’ I mean where the note takes the composition over rather. You certainly don’t mention it in your description of how El Born unfolds, but I can sometimes get this impression if even homeopathic levels of heliotrope are in there. It happened in Tardes, sadly. You know I’m terrible with heliotrope too but I didn’t pick up on it here. Ha! I will bear that in mind. I think V and I are in the minority. I like Aomassai too! As you enjoy the burnt aspect of that and have long been a vanilla fan, I hope you find your sample and try again. I remember your post with pics of your visit to the perfume museum – lots of weird and wonderful bottles. I hope I get to Barcelona before too long. Now that sounds pretty darn good to me ! Kind of thinking 31st – daytime. It’s a relatively recent release so maybe they didn’t have it in yet. Hopefully it’ll be there when you Val make a return visit. I think you’d like it. Ooh nice review Tara. It sounds like a wonderful winter warmer. Thanks, Michael. It really is! Wow Tara you make this sound really good. I will try it next time I get to the store. I have a feeling you’ll get on well with El Born, Sandra. Burnt sugar and roughed up vanilla, very tempting… This one has been on my radar, but I must confess I didn’t know it was such a gourmand. Of the first releases I really enjoyed D600 because of its vetiver/Iris combo, in the end I’m not sure that the vetiver sat right on me, but as you say that doesn’t mean one can’t admire it. It is a tempting concoction indeed. I hope you get to try it. Thanks for sharing your experience of D600. We definitely will – whenever you’re ready ! Hope it lives up to expectations. I wish I could come with you both! I liked El Born too, but for me it was pure liquorice. Not that this is a bad thing, not at all, but once I had this association it was impossible not to think of Allstar Liquorice whenever I smelled it. And it’s the only Carner that lasts longer than a few hours on me, which is a bit of a shame. I nervously re-tried El Born with your comment in mind but still no licorice, luckily. Too bad you’ve had longevity issues with the others in the line. Lovely to see you again tonight! You make El Born sound like a dark, yummy, goody smack of a scent! Which is how I feel about Aomassai, too. The only Carner Barcelona scent I’ve tried is D600, which I did really love. Will put this one on my “to try” list. Yes, yes, yes! Let’s do it Suzanne. We’d have so much fun. 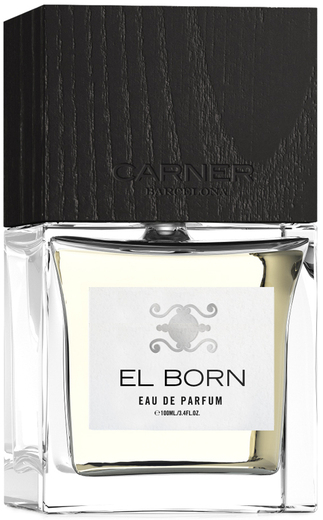 El Born really is “a dark, yummy, goody smack of a scent”. So brilliantly put and you haven’t even tried it yet! Hand up for a Spanish adventure, can you all wait till 2016? I think I might like this Carner too, sounds pretty damn lovely Tara. I’m sure you’d love this one. WOW!! You won’t have to wait that long. YAY! Spain in 2016. I wonder how many of the crew we can galvanise to come? Quite a few I think. There’s lots of time to plan/save up! I definitely hope to visit. It would be great if you were there too.